Between the dour Man Of Steel, the even dourer Batman V. Superman, and the dour-but-desperate-to-be-fun Suicide Squad, the general glumness of the DC Extended Universe has become an easy source of mockery these days. 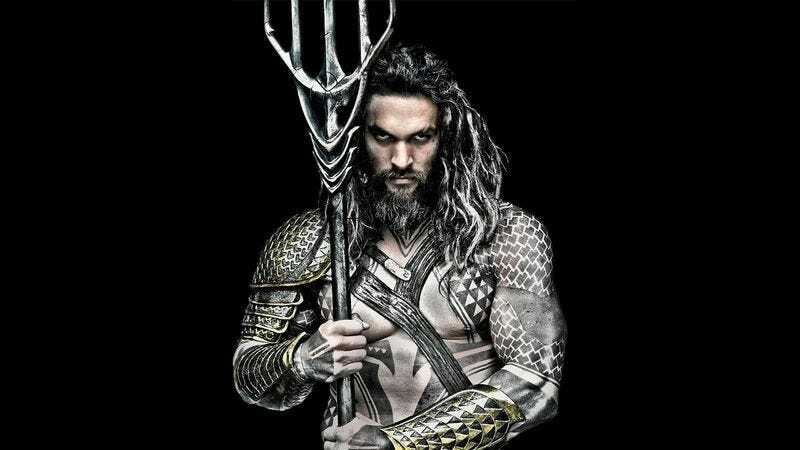 And while it’s a little unclear whether the upcoming Wonder Woman, Justice League, and Flash movies will be more of the same, there’s one DC superhero franchise that definitely plans to set itself apart: Aquaman. That idea of a “high seas adventure story” fits with Wan’s previous claims that he’s most excited about the chance to do some serious world building with the film’s underwater kingdom setting. (He also revealed that he decided to direct Aquaman over The Flash because the bar is a lot lower with a character not as many people care about.) And although Aquaman isn’t scheduled to be released until 2018, Wan claims Zack Snyder’s Justice League team-up might give fans a little preview of what to expect from his film.